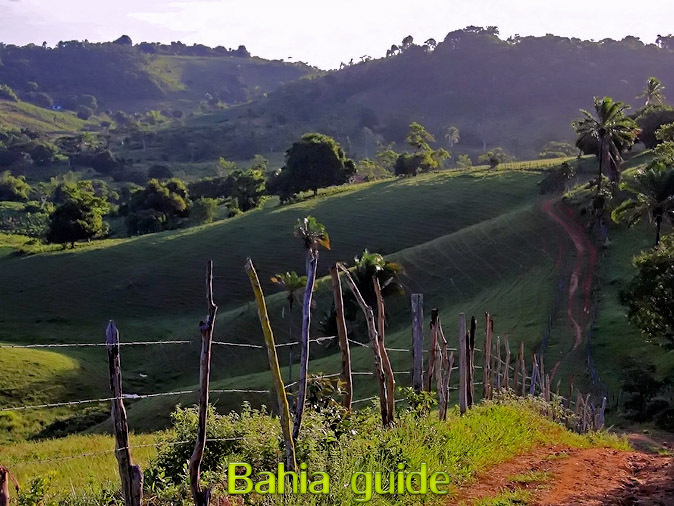 Alternative entrance Cachoeira "Off the beaten tracks" traveling really means off the beaten tracks with us, we enter rural historic Cachoeira from an angle no other tourist guide does, which gives these kind of views. 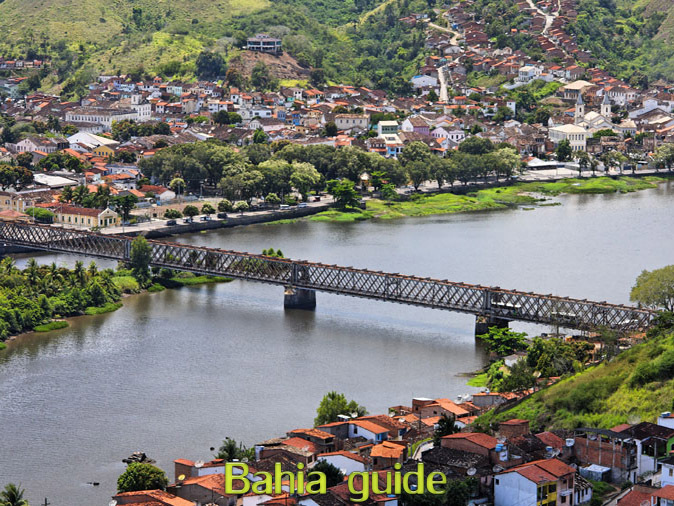 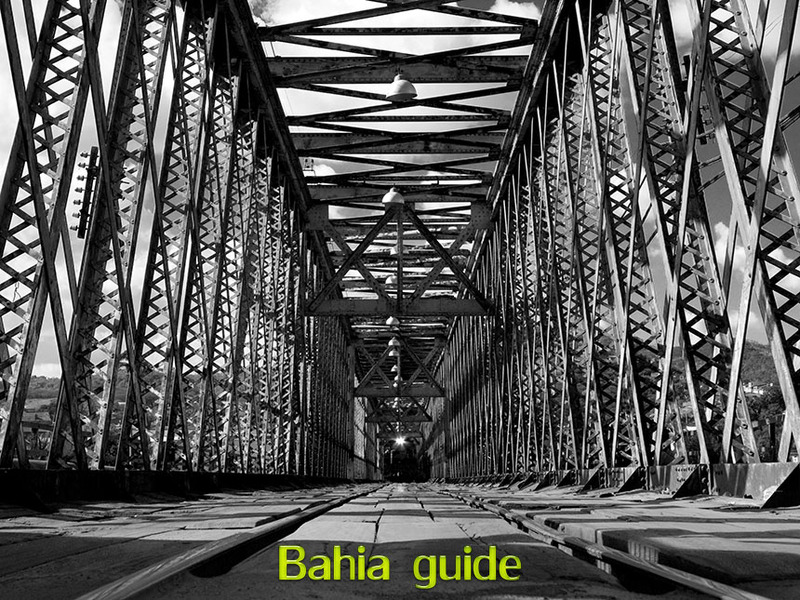 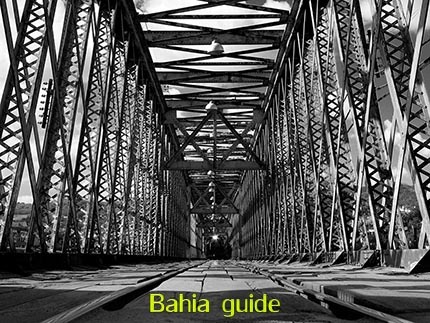 Built in 1865 only for trains This iconic bridge which links São Felix and Cachoeira since 1865 was originally made for industrial trafic from Minas Gerais to Salvador. 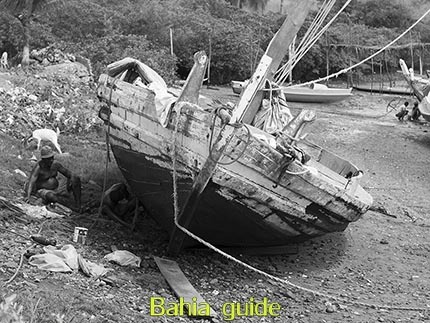 It was never intended nor used for passenger traffic. 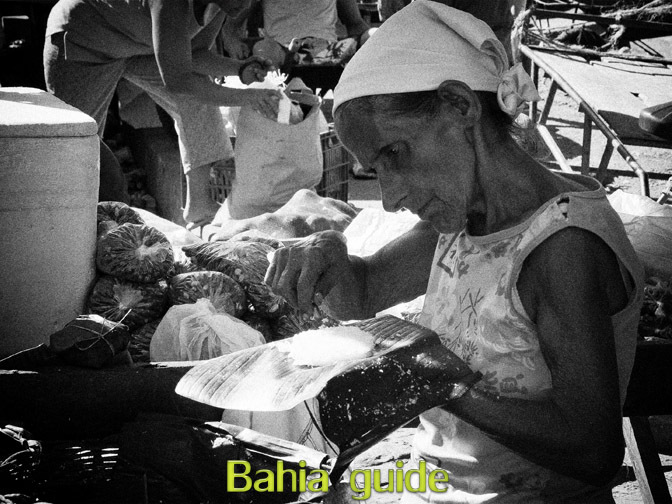 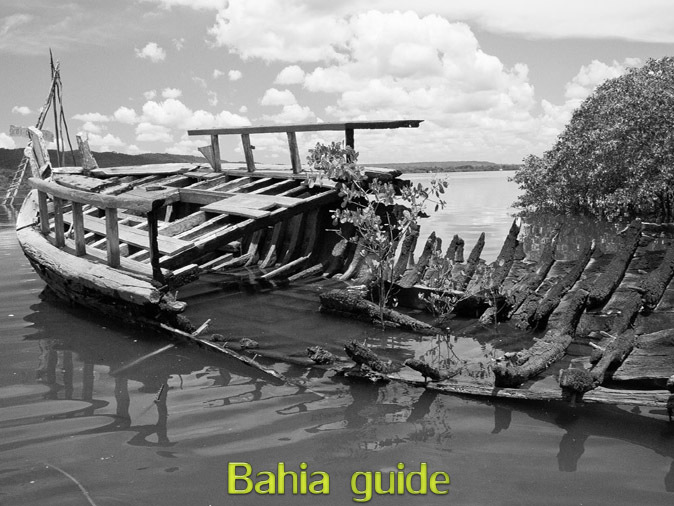 Saveiro sailship restauration Wherever possible we bring you in contact with locals and their daily activities. 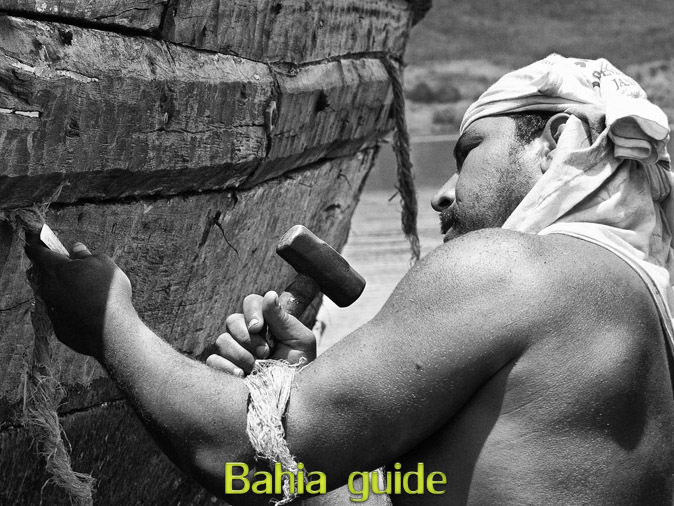 Here craftsmen are restauring an antique saveiro sailship. Still 13 of these ships are used for transport on a daily base ! 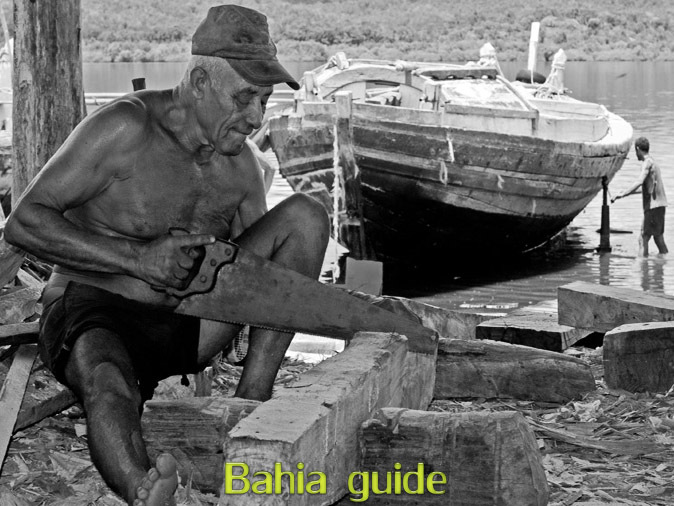 Intense labour in the sun Making the ship joints watertight again is one of the specific tasks in saveiro restauration. Local shipyard in Maragojipe Saveiro's are not built anymore but the ones that are still in the running still keep being restaured. The remains Unfortunately one day all hope is gone, mostly because of lack of money by the owner to keep restauring ... then the ship comes to a very unfortunate end. Saveiro's daily routine Every day sailships sail out of Coqueiros, on the Paraguaçu river to deliver all imaginable goods along the river, untill the Bay of All Saints and ultimately Salvador. 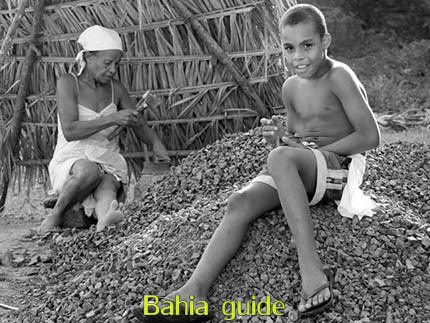 Coqueiros known for it's pottery Pottery is (together with fishing) the main "industry" of this tiny little village called Coqueiros. 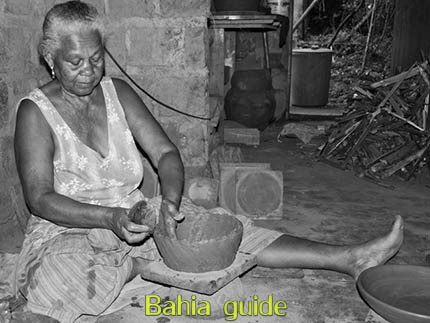 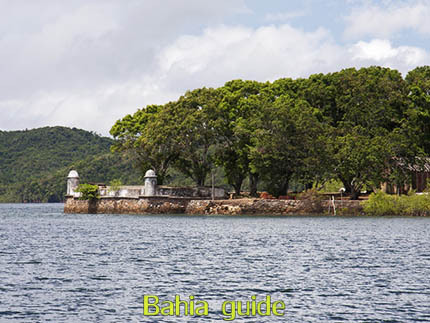 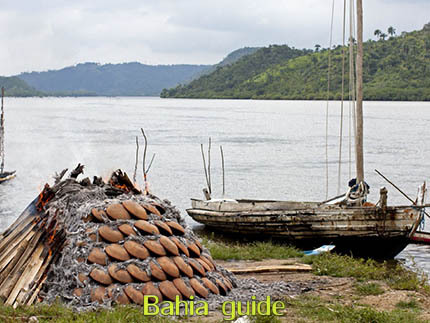 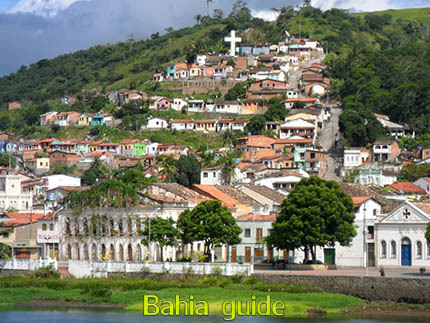 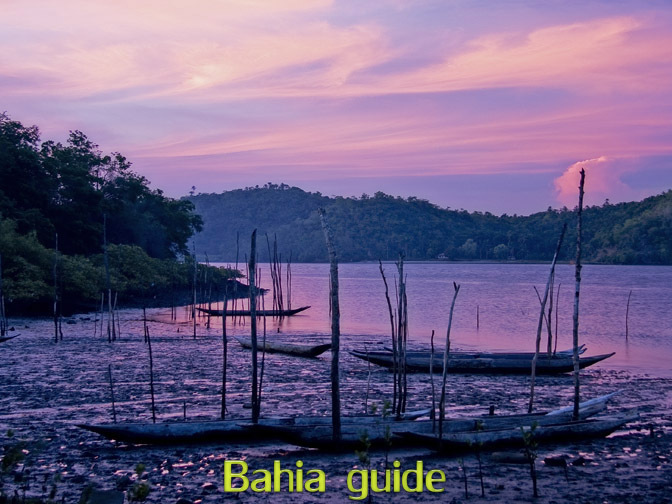 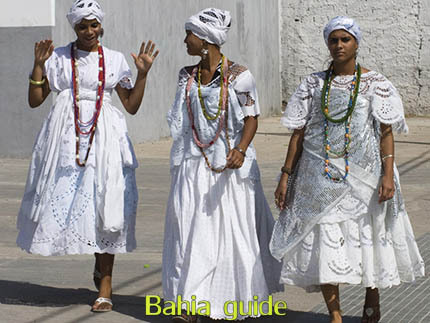 Here the 3 main components of this place : baking pottery, a saveiro sailship and the Paraguaçu river. The Dutch fortress Several hundreds of years ago this was a small fortification made by the Dutch invadors (who invaded Bahia in 1624) alongside the Paraguaçu river. 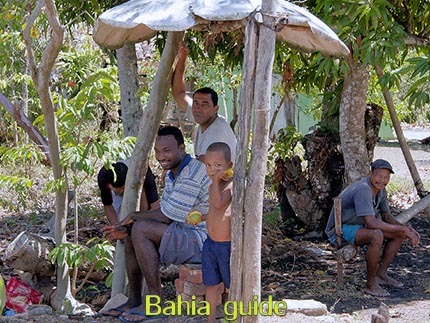 Rural meetings This is our way of going off the beaten tracks and bringing you in contact with these very friendly locals. The micro-economy A fruit (jacfruit in this case) is enough to have ones business set up here Brazil. 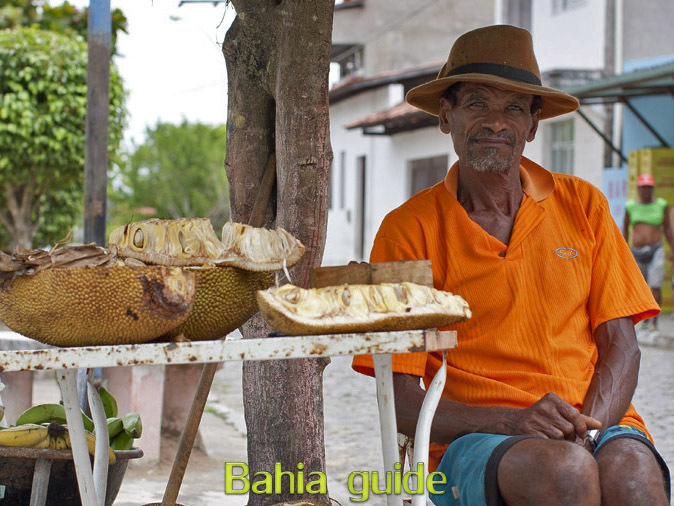 This is one of the many millions examples of how Brazil's micro-economy keeps running. 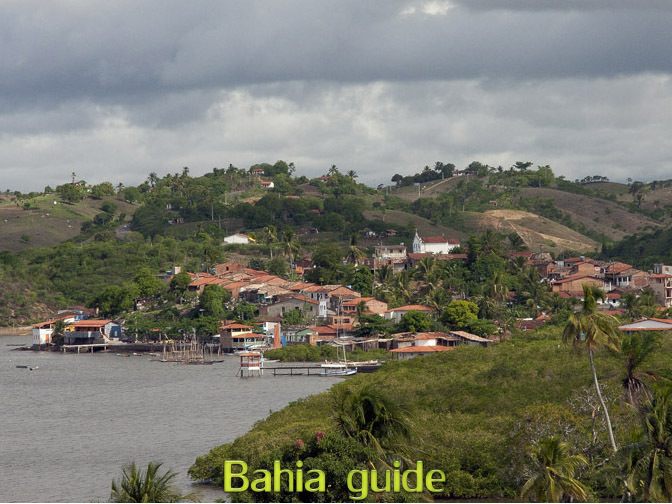 Along the Paraguaçu river One of the many tranquil fishermen villages along the Paraguaçu where one sometimes has the impression time stopped several hundreds of years ago. 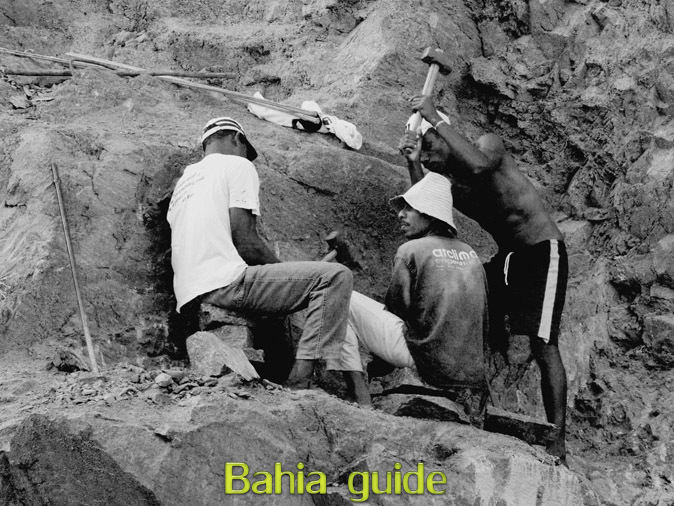 The stone quarry Formerly called 'garimpeiros', the surface miners still are active cutting in the rocks with simple handtools, breaking out rocks piece by piece. 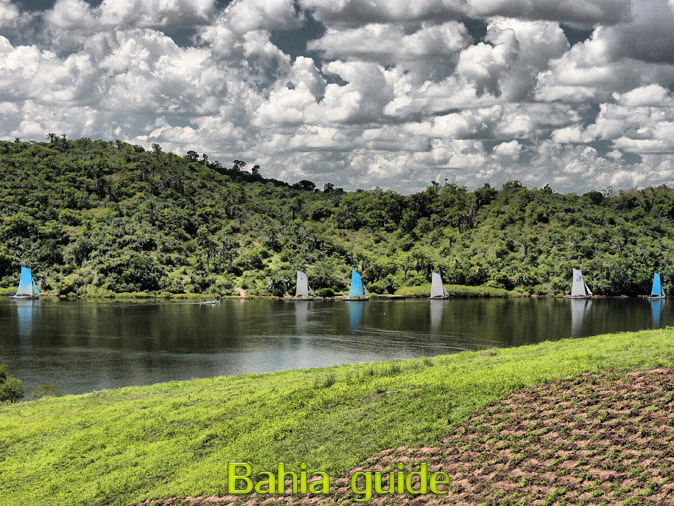 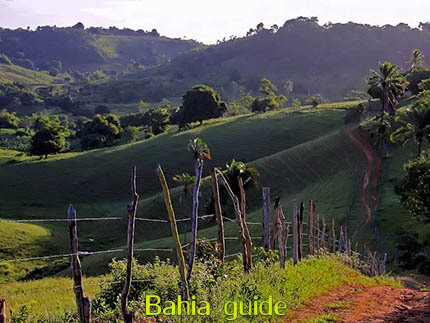 Landscapes of Bahia Driving along the Paraguaçu river this is the typical scenery you are going to discover. Early evening scenery This picture remains us of one of the most important means of life here in this area : fishing.